Jada Pinkett Smith took her children to homeless shelters when they were young, so they could understand how “privileged” they are. 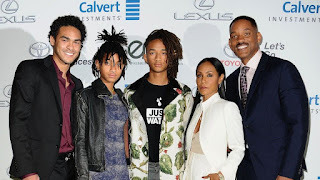 The 47-year-old actress is mother to Jaden, 20, and Willow, 18, whom she has with her husband Will Smith – with whom she also helped raise his 26-year-old son Trey from a previous marriage – and says it was important for her to teach her brood about “life beyond all the twinkles and lights” of Hollywood, so they understood how lucky they were. Jada said: “They had to start their charity lifestyle very early, [at] five years old they were in the orphanages at homeless shelters. “They got to see that there’s life beyond all the twinkles and lights. That was really important to me, that they understood that listen you guys are really privileged and you are to learn how to offer and offer yourself and be in service to the world. I think Will and I always led with that. Both Jaden and Willow kickstarted their own careers in the industry from an early age, and the ‘Girls Trip’ star believes it was crucial for her kids to learn how to “grind and work hard”. Speaking at the Sundance Film Festival on Sunday (27.01.19), she added: “As much as people got on me in regards to having them work early, I did not want them to grow up thinking that because they were in the midst of affluence that they did not have to grind or work hard on their own.